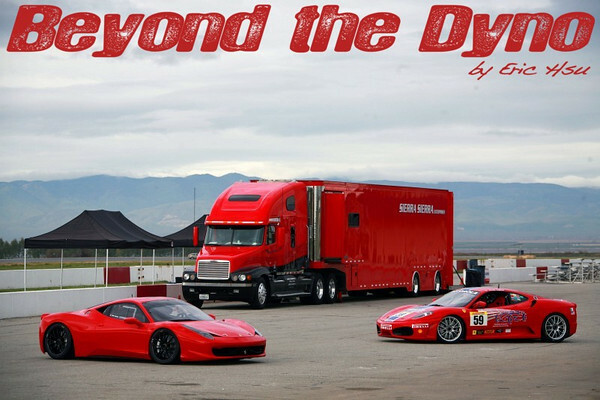 For 2011 Sierra Sierra Enterprises has teamed up with Algar Ferrari to campaign two Ferrari Challenge cars in the North American Ferrari Challenge series. You might be wondering how this came to be. If you've been following my adventures with Sierra Sierra and Christine the EVO, then you might remember than Sierra Sierra used to own and operate teams and cars in Formula Mazda and Formula Atlantic. Running the EVO obviously doesn't require a big staff like active race teams do, but Richard the team manager and chassis engineer, Mike and Jethro the mechanics, and Dan the everything else guy still report to a fully stocked airplane hanger with plenty of equipment to run race cars. Dave or “Emp” the driver is all over the place freelancing with driving and coaching gigs too. So since the decision was made to concentrate primarily on international time attack events in 2011, that left these guys with a whole lot of time. Emp got a coaching gig with the Algar Ferrari drivers and they needed to put together a race team. Of course that's an expensive ordeal (even for Ferrari guys). Sierra Sierra had the experienced and fully stocked hanger full of everything to run race cars. So Emp introduced Algar and SSE to each other and so far, so good. Richard, Mike, Jethro, and Don had to learn everything from scratch never having run Ferraris, but they did exactly the same thing with a Mitsubishi EVO and look how fast Christine is now. If I were to trust any team to pick up the pieces and make some race cars damn fast in a short amount of time, it would be the Sierra Sierra guys. Nads shot these pics at a Buttonwillow test last month. 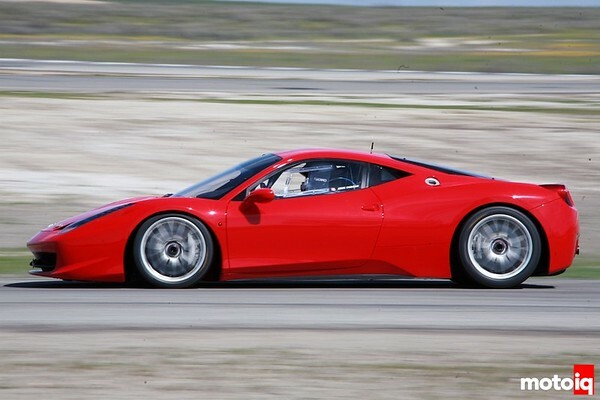 While Ferrari Challenge cars aren't the fastest cars in the world, I still think they're beautiful race cars. They look better than Porsche GT3 Cup cars if you ask me. What would be so bad about going to a track to watch and hear Ferraris screaming all over the track? That sounds like a pretty good day at the track to me. Check out the 2011 Ferrari Challenge schedule to catch Scuderia Algar and SSE Ferraris at a track near you.